Today we will learn how to install this awesome Custom ROM in our zenfone 2 laser or Z00LD device. This ROM is powered by Android N 7.1.1, It can be install very easily so follow my steps.. This Custom ROM is awesome and i have been trying this rom from past few days. Its working very smoothly, Still now i didnt saw any bug.. This rom Works with VoLTE support and you can call anyone using any VOLTE sim card like Relaince Jio. #NOTE: This will format your internal storage completely so backup everything you have in internal storage, Contacts etc.. 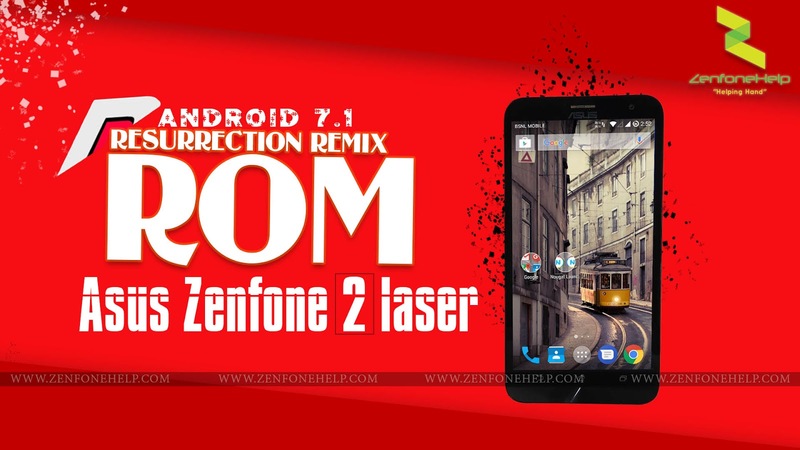 Wait for 15 minutes and then it will install the RR ROM in your Asus Zenfone 2 Laser device. This is the procedure for Installing Android N with RR ROM in your Asus Zenfone 2 Laser Device.. I hope you guys will do this successfully. If you face any issue then comment below or have a live chat with me on my blog.. I will try to help you..